Two Nelson and Colne College friends who sat the same A Level exams are progressing onto the same university course after achieving identical grades! 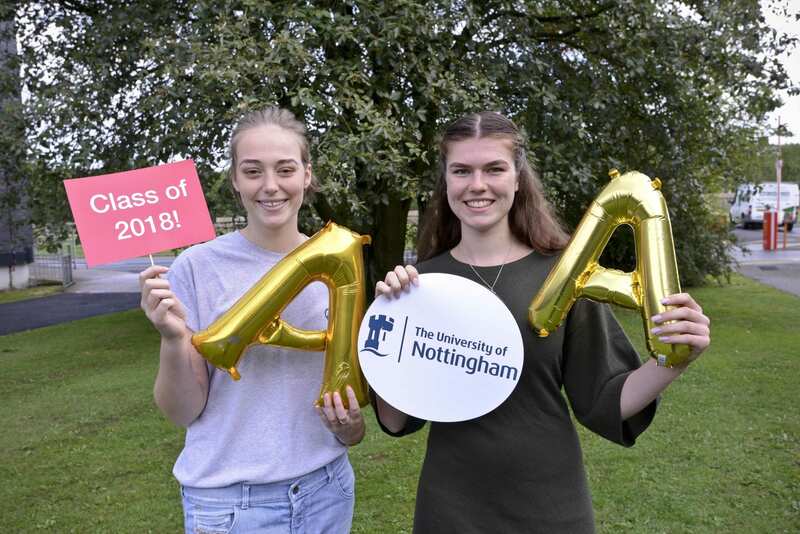 Molly Stone, 18, from Blacko, and Tullia Emmanuel, 18, from Clitheroe, are both heading off to the University of Nottingham to study Veterinary Medicine after both achieved AAB in Biology, Maths and Chemistry. What’s more, they are going to be five doors down from one another when they get to Nottingham and both are thrilled with their results. Molly, previously of Colne Primet Academy, said: “I’m very pleased I got the results I needed to get into Nottingham. I’ve always wanted to study Veterinary Medicine and my ambition is to become a large animal vet. Tullia, a former student of Bowland High, said: “I’m really happy with my results! My passion for Veterinary Medicine comes from having small animals over the years. In its 2017/18 results, NCC achieved a 99% pass rate at A Level and a 100% pass rate in advanced vocational courses.